Dakar in GA- Some delivery options available! 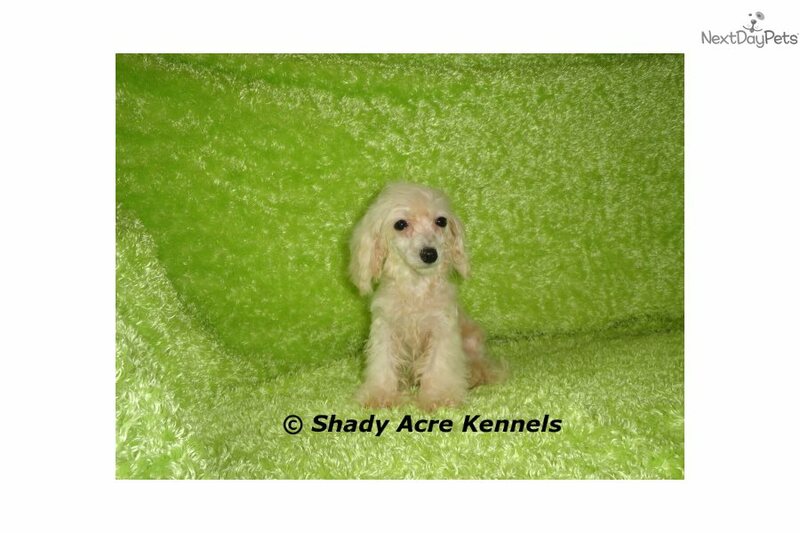 This Bich-Poo - Bichpoo nicknamed Dakar sold and went to a new family. 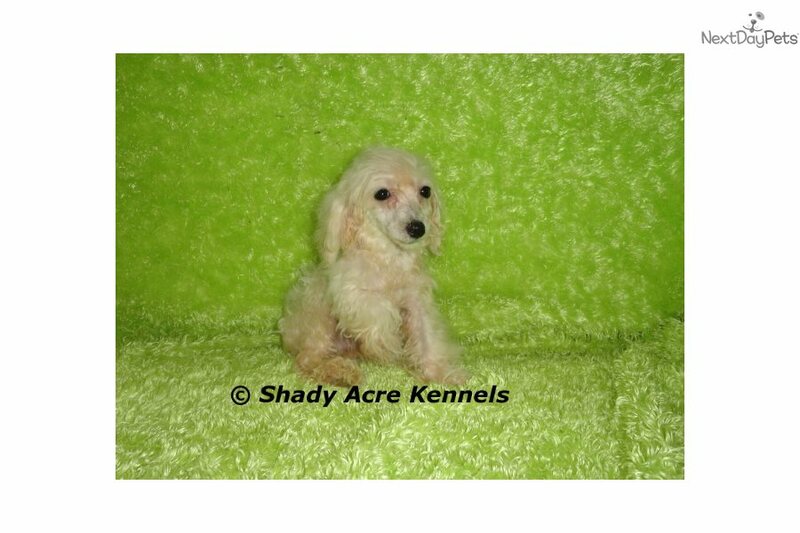 Mother is a pure bred AKC Bichon Frise-weighs 10lbs.-father is pure bred AKC Poodle weighs 10lbs so these are first generation crosses. Bichpoos are hypo-allergenic & non-shedding-are one of the easiest dogs to potty train, very loyal, happy, playful & great lap dogs. Pup is up to date on vaccinations, for a list of vaccinations the puppies receive see our website shadyacrekennels.com--you can also see puppies from past litters,(visit our "About Us" page). Please call/text 229-425-1552 or email us. Dew claws have been removed. A $200 non-refundable deposit is required to place a pup on hold. (Deposit goes toward the purchase price). Picture updates will be provided every 2 weeks, until 8 weeks of age. We accept (Credit Cards & Paypal, add 4% for processing fees). NO CHECKS OR MONEY ORDERS OF ANY KIND. 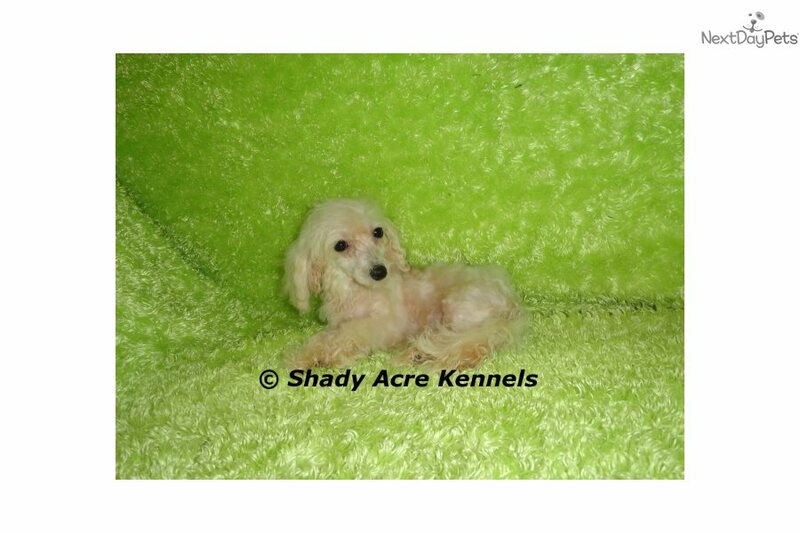 This pup comes with full CKC registration. You can pick up your pup here (Abbeville, GA) "OR" We do offer to meet you part way, or to deliver the pup to you. We also offer to meet at the ATL airport if you would like to fly in & fly out. (Small fee applies if we meet or deliver). (We do delivery scheduling case by case, so please contact us for more information). We will not ship a pup on plane by themselves.